Sean Kenny is the Co-Founder of PrepLink, a platform that allows accounting firms to work with freelance CPAs remotely, flexibly, and on demand. He is on a mission to transform the landscape of public accounting, and as you’ll hear in this episode, he is extremely passionate about this mission (and, personally, I think PrepLink is going to evolve into something very special). Before founding PrepLink, Sean worked as a CPA for several firms in their tax departments, and the idea was born out his frustration with the lifestyle of public accounting – a frustration many of us understand all too well. Sean realized that by providing a tool that allows accountants the option of finding remote, flexible work, he could tap into the abundance of talented and experienced CPAs willing to take on freelance assignments and open that up to firms who can benefit from a large pool of reliable on-demand experts. “I want to offer a small firm all the resources of a large national accounting firm.” So when a small firm needs help with a specific subject matter they don’t know much about or a big project that needs more hands, they know they can find someone perfect for the job and bring them on. PrepLink isn’t just outsourcing, though. It’s a new network for public accounting, allowing firms and professionals to establish and build relationships within the CPA community. Sean Kenny: [00:00:00] It’s really important to be able to tell this vision, tell this story, so I can build up this army of people who want to make change. I’m telling them this vision. I’m giving them these tools. I’m like, “Come along.” Like, “Let’s go.” And these people are telling other partners. 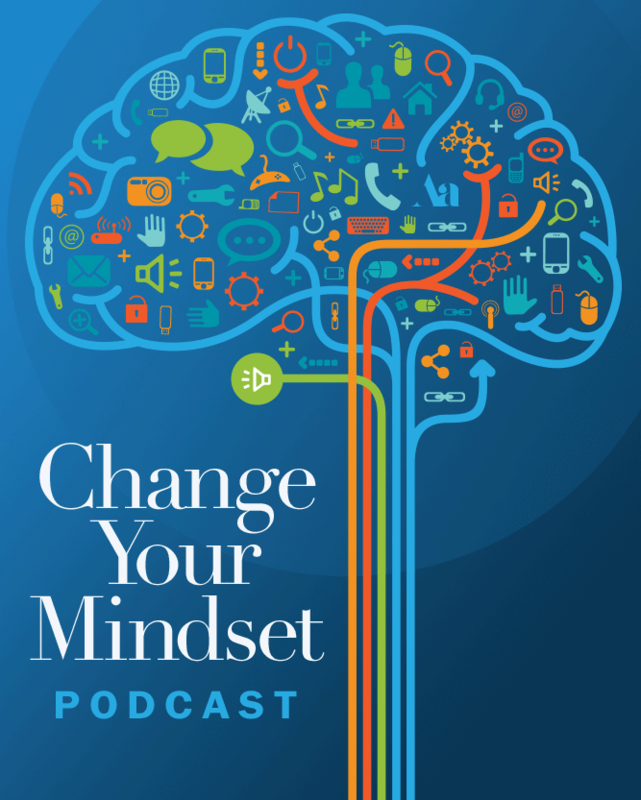 Peter Margaritis: [00:00:31] Welcome to Change Your Mindset Podcast, formerly known as Improv is No Joke, where it’s all about believing that strong communication skills are the best way in delivering your technical accounting knowledge and growing your business. An effective way of building stronger communication skills is by embracing the principles of applied improvisation. Your host is Peter Margaritis, CPA, a.k.a. The Accidental Accountant. And he will interview financial professionals and business leaders to find their secret in building stronger relationships with their clients, customers, associates, and peers, all the while growing their businesses. So, let’s start the show. Peter Margaritis: [00:01:19] Welcome to Episode 14. And my guest today is Sean Kenny, who’s the Co-Founder of PrepLink, a platform that allows accounting firms to work with freelance CPAs remotely, flexible, and on demand. It’s the only platform of its kind designed exclusively for people in public accounting. 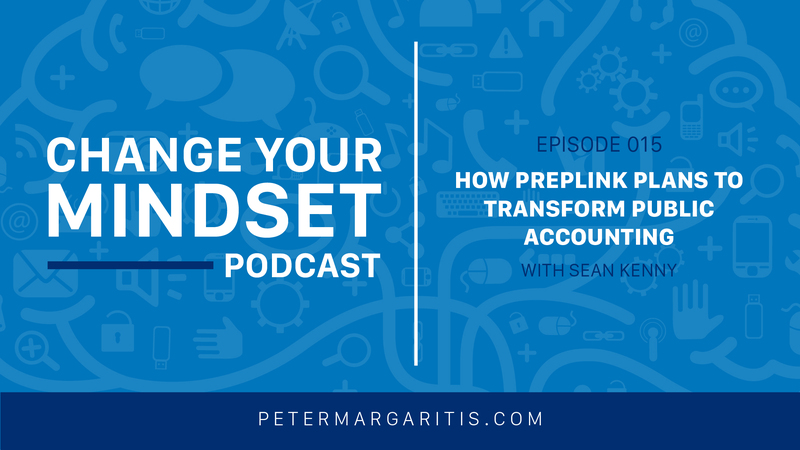 Peter Margaritis: [00:01:39] Before founding PrepLink, Sean worked as a CPA for several firms in their tax departments. The idea for PrepLink was born out his frustration with the lifestyle of public accounting. Sean discovered that by providing a tool that allows accountants the option of finding remote, flexible work, he could tap into the abundance of talented experienced CPAs willing to take on freelance assignments and firms who could benefit from the large pool of reliable on-demand experts. With PrepLink, firms can serve their clients better, retain their in-house staff, and become more profitable. He’s bringing this message and solution to public accounting to create a change for the better. Peter Margaritis: [00:02:25] Now, Sean lives in Charleston, South Carolina with his wife and co-founder, Emily, and their two children. Sean is also a member of the South Carolina Association of CPAs. And I would like to thank Chris Jenkins for putting me in touch with Sean. By the way, if you know someone who would make a great guest for this podcast, please email me at Peter@PeterMargaritis.com. Peter Margaritis: [00:02:49] Now, if you’ve been listening to my podcast, you know that I published my new book, Taking the Numb Out of Numbers: Explaining and Presenting Financial Information with Confidence and Clarity, on July 30, 2018. The feedback that I’ve received has exceeded my expectations. You can read the reviews on Amazon. Peter Margaritis: [00:03:08] But I would like to share with you an email that I received from Ryan Parker who is a CPA, who is also the CEO of Endicott Clay Products. Ryan said, “Peter, as I sit here on a flight to Lincoln, I just finished your new book. Congratulations. It was a great read and full of practical sound advice for presenting seemingly boring numbers in a way that engages an audience and challenges those of us that do present to elevate our game.” Actually, he liked it so much, he purchased 10 copies for his team, his sales team. He says his sales team presents to architects. And instead of taking the numb out of numbers, he wants them to take the ick out of the brick. God, I love that parody he used. Peter Margaritis: [00:03:57] If you like to order my book in bulk, that’s 10 or more, for your team or as a holiday gift for your clients or customers, please email me at Peter@PeterMargaritis.com. I will fulfill the order from my office, personally sign all copies, and provide you with a discount somewhere between 10% and 15%, depending upon the size of the order. The book is available on Amazon, in paperback, and on Kindle. So, stop what you’re doing, buy it today, and begin taking the numb out of numbers or the ick out of the brick. So, without further ado, let’s get to the interview with Sean Kenny. Peter Margaritis: [00:04:40] Everybody, welcome back. I’m talking to Sean Kenny today. And he is one of my all-time favorite cities. He’s in Charleston, South Carolina. And Sean, welcome to my podcast. Sean Kenny: [00:04:54] Thanks, Peter. Peter Margaritis: [00:04:54] It’s great to meet you because this is the first time we’ve met. The South Carolina Association contacted me and said, “You got to interview this guy. He’s got something special.” So, Sean, before we get into what you’re providing the accounting community, give us a little bit of your background. Sean Kenny: [00:05:14] Yeah, absolutely. So, I’ve been a CPA for five years. Well, I worked in the industry for five years, primarily in the tax department. I was looking to, one day, open up my own firm, serve my own clients because I really enjoyed the work. I really enjoyed helping people. And that is when I came up with my idea because I think a lot of people out there, we love the work but had a hard time swallowing the concept of the next 25 years of tax seasons. And then, also, I didn’t really have all the technical skills because I was only there for a few years. Peter Margaritis: [00:06:10] So, you said you couldn’t envision or swallow the fact that you’d be in a cubicle doing tax work in busy seasons for 25 years. My background, I was at Pricewaterhouse. So, this is before the Cooper’s merger. And I had that same realization, but it took me three years to finally go, “Right. This isn’t going to work.” I love the work. I wasn’t really a technical person, but I love helping my clients, I love that interaction, and just the model didn’t fit me either. So, you didn’t go out and start your own firm, but what did you do? What is this thing that you’re creating? Sean Kenny: [00:06:54] So, I created PrepLink. And what we are is we are a platform exclusively for accounting firms. And it’s where a firm can go out and look for a person to bring on that can help them when they need it. It’s on-demand. And it’s only for accounting firms and accountants. And this allows them to collaborate on projects. Projects being maybe they need extra hands on a tax fund, or maybe they just need help understanding a certain issue that’s outside of their expertise. And what I want this to be is I want to offer a small firm all the resources of a large national accounting firm that when they need help, they can go out and bring people on. Peter Margaritis: [00:07:43] So, I think it’s a community that I’ve got maybe a state tax issue, I’m in Ohio, but I’ve got a client in the State of Washington or, probably, California would be a better example. I could go to this PrepLink, your resource here, and find that expertise to help me solve that problem. Sean Kenny: [00:08:09] Exactly, exactly. What I’m promoting is not outsourcing. I want you to be able to develop relationships with people. So, when you have issues from California, you say, “You know what, I really liked working with Greg. I want to work with him again.” It is a community, a network, but it’s a network to establish relationships within the CPA community. So, when you have an issue, you know, “Oh, I can reach out to Jane,” or “I can reach out to Phil. He’s an expert on this.” And that’s exactly what happens at a large accounting firm because these partners, they deal with a wider range of issues. And when they hear an issue, they say, “You know, it’s that Jane from the Atlanta office. Ask her. She’s an expert on this.” Okay. Sean Kenny: [00:09:00] So, I want to offer that to these small accounting firms because I hear, and I’ve heard this a number of times multiple ways of saying, “If I had an issue that’s over my head, I can’t walk down the hall and knock on a partner’s store. It’s just me. I have to spend all day researching it. And that’s just so I can get some level of comfort, but I would rather bring on a person who plays in the sandbox and just help me with this.” So, I want to offer them this resource of this network of experts. But then, also, it’s also a network of sometimes you just need a person to help you out with tax prep or bookkeeping, and I want to provide that to these accounting firms because so many of them out there are hurting. Peter Margaritis: [00:09:54] So, Sean, tell me what — You’ve got these freelancers out there. Can you give me the demographics of them? Are they retired individuals who are looking for additional work? Are they people in firms? Who are these folks? Sean Kenny: [00:10:11] Honestly, they’re all over the board. Initially, I thought it would be mostly millennials like me. And I was surprised that in the beginning, the largest were, surprisingly, baby boomers, people who have been in the industry for 20 plus years who I heard this over and over again are like, “Dude, I’m tired of going through these tax seasons. I would rather not.” And they’re looking for alternatives. Sean Kenny: [00:12:39] So, I want to bring that, not just for nonprofits but nexus. What happened this past year with Wayfair, there is going to be so many clients asking their accounting firms like, “What’s happening?” I’m telling you right now, most people, when it comes to the Nexus and multi-state, they shake in fear. This is like it’s so confusing. There’s so much out there that you really do need a specialist. And I want to offer these small firms because more and more people, as the e-commerce and internet is growing, more and more people are realizing that their business is not restricted to a geographic area. They’re actually now having internet. Sean Kenny: [00:13:33] Right now, I have a business. I have clients all over the country that I’m actually going to have to use PrepLink to bring on people to help me understand my requirements as an internet business with all these accounting firms that I’m dealing with across the country. I need help there. And I can tell you right now, after working in all these accounting firms, when you have a client that has customers in a bunch of states, everyone is like, “Oh man. This is going to get really hard. This is going to be — Oh.” And there’s only a handful of people in the firm who actually have expertise. So, I want to be able to be this resource and offer people this access to this expertise, this knowledge. Sean Kenny: [00:15:19] Because I wanted it. I wanted it. I’m not some software engineer. I’m a CPA. This is an idea that I had. I was like, “Dude, I want this. This is really cool.” A little over a year ago, I was in a cubicle. I was working in a firm. I had this idea, and I thought it was so — I was so very impressed. I was so moved by it, and the possibilities, and the future. Like what the possibilities, what it just could do that it sprung me into action. Sean Kenny: [00:15:53] I was inviting partners, which I would never do, in the area and saying like, “This is the vision I have. Would you be interested?” And all of them were just like, “Yeah, obviously,” but it didn’t exist. And they’re looking at me like, “What are you, crazy?” It made me realize that like, “Yeah.” I’m convinced in time that, when this actually becomes a thing, I say that once I have, let’s say, this, it is socially justified where it becomes the norm. I think every accounting firm, every CPA firm is going to be on this thing because how could you not? The value prop, it makes too much sense right now. Sean Kenny: [00:16:48] But I know most accounting firms right now would not because like, “Hey, I get it. It’s new. It’s this new concept.” So, I’m realizing right now that I have to find CPAs out there who are very entrepreneurial-minded, who want something different, who want something better than the status quo because most things that, right now, the accounting industry, working in public accounting is difficult. It’s really, really difficult. There is a lot of churn. Sean Kenny: [00:17:27] A lot of the firms hire people entry level. There’s a high demand in entry level because we’re taught experience in public accounting is invaluable if you’re going to be an accountant. And it’s true because we see so much. There’s so many businesses you interact with. And the work is actually great. Every woman will tell you that the work is great. It’s rewarding. It’s the lifestyle. It’s the lifestyle of working in public accounting that they have an issue with, right. That it’s just like, “Man.” Small firms, I think, are getting hit harder because everyone wants to work for a prestigious accounting firm because like, hey, put that on a resume, and you have more options, right? Sean Kenny: [00:18:23] You go work like Henry & Company where no one really knows what Henry & Company is. They have a harder time. So, when they lose that manager, if you’re a partner, and you lose that that tax manager, the whole office feels it. It’s like a person took a leg from out of the table. It’s just like, “Whoa. This is serious.” Now, that partner or that sole proprietor now has to shoulder that work because there is expertise that you need that I want for that firm not to lose that tax manager. Sean Kenny: [00:19:09] So, a lot of times, that tax manager, they’re mothers, they’re fathers, they have families, they want to get home. They’re missing what’s out there. And if you’re a recruiter, you’re tapping into that. So, you’re like, “Hey, I got this client, this industry. He’s going to pay you equal, maybe more. You don’t have to work weekends,” that’s really appealing to a lot of mothers and fathers. I know because I talk to them all the time. They love the work. There’s issues here that we just need to address. Peter Margaritis: [00:19:43] So, are you focused primarily on those in the tax world, or are you also on M&A world and the A&A world? Sean Kenny: [00:19:52] That’s a great question. Yeah, right now, we’re pretty taxed-focused in accounting. In accounting right now. And that was me just saying that’s what I know. I know there’s an issue there. I know everyone needs on tax now. So, let’s offer that right now. That’s easy. I know it, and we have all the tools here. Peter Margaritis: [00:20:14] What I realized, actually, the first one of like us just being live, it’s like, “Oh no, dude. I got pack this up with all these subject matter experts. I got to put in people who can help on not-for-profit.” Not the tax stuff, but the admin stuff, which I have a hard time even explaining. And I worked on 990s before, and the questions they’re asking, which are just normal everyday questions a not-for-profit would have, I was like, “Yeah, you would need a person who was CFO at a national not-for-profit that you could just consult with, help with that client.” They say, “Okay. Yeah. What you need is you need to register in all key states.” And they have resources. They’re tapping into that knowledge. Sean Kenny: [00:21:14] I’m using this as an example because this just happened yesterday where a person is like, “You should use this resource or this resource.” So, we’re just bringing knowledge. We’re unlocking these efficiencies in our model that could really change the course of public accounting. My goal here is not to be just like another app. My goal here is to change public accounting for the better. I want to unlock efficiencies. Sean Kenny: [00:22:39] And I’m realizing that anything that’s significant that if you truly believe in something, which I do because I’m doing it, it’s really important to be able to tell this vision, tell this story, so I can build up this arm of people who want to make change. I’m telling them this vision. I’m giving them these tools. I’m like, “Come along.” Like, “Let’s go.” And these people are telling other partners. They’re telling other freelancers. I get an email, or LinkedIn, or just a person signs up like, “Hey, Jorge told me about this.” I’m like, “God, that’s great.” It’s beginning to spread. Sean Kenny: [00:23:25] I wrote a tweet two weeks ago, and I’m not the guy who quotes himself. It was just like a thought. I had him like Tesla. It’s like we all know the company. They have a waiting list. It’s like a year, or 18 months, or something like that for a Model S. I don’t even know if that is what it’s called. They have never spent a dollar in marketing. They’ve never had a commercial. Sean Kenny: [00:24:01] I just watched a Giants game. Definitely looked horrible, but every commercial break, there was a commercial about a truck or a car, and it’s just nonstop. Nonstop, right. But Tesla moves people because regardless of your belief in electric cars, just appreciate what they’re able to do with no marketing dollars. They had something that inspired people that it tapped into, “This is the future that you wanted.” And it’s an amazing looking car. Yeah, it’s electric, but the thing is badass. It is amazing. It is a car people want to drive. My Facebook feed are people at Tesla. They’re either taking pictures of them buying this really expensive car, and people congratulating them. It’s like inspired. Sean Kenny: [00:25:10] And that’s what I’m realizing. I’m like, “Dude, I got to keep telling people it’s an app, but no, no, it’s change.” The reason I left my job, the reason that I lose sleep, and I’m still like so excited about it is because I believe in this. I believe in what I’m doing. And I’m telling people in earnest that I’m a CPA, and I want this. And I have to realize that I can’t soften my message to get these nonbelievers because it’s not for everyone. It’s for these people who want change. Sean Kenny: [00:25:58] And it’s just not the entrepreneurs. It’s tax managers or auto managers who are just like, “There’s got to be a better way.” That they’re like, “It shouldn’t be this hard.” And it’s not. I’m screaming from the mountaintops. If you tap — I’m not going to use the word gig because that has too much baggage with it. I’m going to say if you offer flexibility, offer flexibility that the amount of people willing to work with you will outstrip the amount of work that you have. You buy by factor. Sean Kenny: [00:26:44] Look at WeWork right now. WeWork’s valuation is $35 billion. That’s equal to Ford. WeWork is an office-sharing company. They offer flexible arrangements where they have offices. They’re actually the largest real estate owner in Manhattan. They surpassed the Catholic Church and NYU. All they offer is flexible arrangements for people, like freelancers or companies. They’re just offering office space. Like a model that’s been around for forever, but they’re offering flexibility. It’s like, “That’s what we want.” People love options and flexibility. And, now, what’s happening in the world, it’s changed. We have options, and we want flexibility. Sean Kenny: [00:27:40] The CPA profession is behind because everyone says, “No, no, this is the model. This is the way we do it.” It’s like, “No, no, no. People can tap into this option and flexibility.” You don’t have to use PrepLink. You can do it yourself. I hope this message gets across, just offer flexibility and offer optionality, and you’ll get people. You’ll get amazing people. Peter Margaritis: [00:28:51] And then, they also rolled out that there are no mandatory Saturdays and Sundays during tax season. And then, they took it one step further. They changed their vacation policy to unlimited PTO. Flexibility to a degree, but still not that — And I I put it in this way. That firm is telling their people, “We trust you.” And they have very little turnover, and they’re growing. And the other cool thing about this firm is both of the partners didn’t start their career in public accounting. So, they weren’t pre-wired like most firms are. Peter Margaritis: [00:29:40] So, as I think about what you’re doing, and you’re thinking about the flexibility. So, I see two pieces out there for you. One, baby boomers are retiring. There’s a lot of folks who are still — CPAs don’t stop working, I’ve learned. They love to work. But they may not be in that structure. You have an avenue to tap those who have retired from firms who still want to work, still want to contribute, but maybe not on a full-time basis. I think you got a huge pool of those folks. And then, you’ve got the folks who are at a management level, and most accounting firms, I don’t like the millennial word, but I look at that younger generation that you could tap. I mean, you’ve got a lot of places that you’ll be able to draw those resources on. Peter Margaritis: [00:30:34] But I want to talk about you said something about your story. And now, you’ve just jumped in my passion, my lane. And most CPAs, most people don’t really know how to tell their story and what is that story. They think the story is, “Well, we got 14 partners. We’ve got X, Y, and Z.” Those are stats. That’s not a story. And as you continue to grow your business, I think I can go out on a limb here, Sean, and say I think you’re just a little passionate about what you’re doing here. Sean Kenny: [00:31:12] Yeah. Yeah, absolutely. Peter Margaritis: [00:31:12] Yeah. Now, it’s harnessing that passion into that message that resonates. And I work with some CPAs here in Ohio along those same lines. How do you take that passion and that vision of what you’re doing, and how do you wrap that up into a tagline, into something concise? Sean Kenny: [00:31:36] It’s so hard. It is so hard. I was asked a few months ago, “What was something that surprised you about this process?” And I was like, “It’s been a lot.” But for a guy who was a CPA, what surprised me was how difficult communications was because I had this idea. This is what I want to do. And it’s so difficult to express that, or how do you write that up? What do you put when you have something? Sean Kenny: [00:32:21] And we still spend so much energy, mental energy, and the time rewording, coming out. I feel like even on this podcast, I was coming in. I’m constantly thinking about it, retooling it because what you have in your head about what you are and what you want to provide might be miles away from the perception a person has about what you are. And they already have not only a perception, but they also have their prejudices. Everything is baked into it. Sean Kenny: [00:33:12] If you’re able to tell that story, so that there’s this clarity, and a lot of people, the art of storytelling, I didn’t really have context to it before I started this. So, if you love start telling, “Yeah, the ghost story.” No, storytelling with communication is how human beings understand anything. Okay. Sean Kenny: [00:34:15] And so many people, amazingly, talented people, accountants with 20 years Big Four experience, which you’re like, “Dude, I would work with him in a second. You know how much knowledge he probably have in this area?” But they tell them, “I’m Big Four,” and they did not convey their experience, their value to them, their expertise, and how they could help them because they told them a story that the other person just fully didn’t understand. Sean Kenny: [00:34:45] Like, “Wait, Big Four, I don’t know what you’re talking about.” They didn’t tell them that, “Hey, I worked in the Big Four for 20 years on the energy sector about depletion, about oil and wind. They probably know more about their industry than fine. That’s an amazing environment, an amazing resource as a business model but you could express your issues, problem solve with. There’s such value there. But we, as CPAs, we don’t get that training. We don’t appreciate that. So, we’re not able to tell how we can help these clients. Sean Kenny: [00:35:24] And I didn’t realize this until I was literally — I was an accountant, again, at a cubicle who struggled. Struggles nightly, nauseating where I couldn’t communicate what I was doing. I was terrible at the sales. Just terrible at the whole process. Now, I can appreciate it because I’m better than I was, but I still have to go a long way. So, now, I’m very passionate about how important I think it is for CPAs in public accounting because it’s different if you’re in an industry for public accountants to truly appreciate the skill of marketing and sales. Sean Kenny: [00:36:24] But under that is the storytelling. My sister works for one of the most well-known technology companies. She’s a very senior sales account manager. They go through so much training for sales. Executives are constantly telling them, “Get your storytelling down.” But what is your story? How can you express what we can do for them where they could understand? Peter Margaritis: [00:37:36] What you’re giving them is facts and figures. And facts and figures don’t drive decision making. Emotions drive decision making. And storytelling, that’s what would bring the emotion in. So, you’re talking there a moment. You said the Big Four, and you said all this stuff, and it made me think of something. And we’ve talked about this. So, I asked you the other day, “Do you speak a foreign language?” And you said “No.” And I said, “Well, let me rephrase that for you. Do you speak the foreign language of business and accounting?” And you said, “Of course, I do.” And it is a foreign language. Peter Margaritis: [00:38:11] And I will say, the foreign language of accounting, whether you’re in public accounting, or in industry, or in government, you’re in education, you’re still speaking that foreign language. Peter Margaritis: [00:38:22] And you are cursed, by the way. Sean, you are cursed. And most people in the accounting profession are cursed. They’re cursed with their knowledge. Here’s a book that you should really read that really pushed me down this path. It’s called Made to Stick by Chip Heath. Great book. And one of the first things he’s talking about is this curse of knowledge, you cannot unlearn what you’ve learned. Trust me. I can still recite some stuff. I haven’t done accounting in forever. I can still go back in my mind and pull this information out. Peter Margaritis: [00:38:54] But when you’re talking to somebody who doesn’t have that language, you can’t speak accounting speak. You have put it in plain English. Even in the world of accounting, if I’m the partner in a firm, and you’re a senior or maybe even a manager, my knowledge level is still — my comprehension is still higher than yours. I have to be able to bring my knowledge. I’m not dumbing it down but to a point where we can connect. And we don’t do it. And that’s the other big challenge we have in that aspect of storytelling. You said it, the accounting is easy, the communication is hard. Sean Kenny: [00:39:30] It’s so hard. Peter Margaritis: [00:39:31] Well, we tend to call it soft skills, but I say we may call it soft skills. I think you’d agree, they’re pretty hard to master. Sean Kenny: [00:40:51] If you look at it as a skill, you know you can get better at it. I think a lot of us have this belief that these sales skills or the communication, it’s enhanced, like, “I’m just not good. I’m an introvert.” But it’s not. It’s a skill that you got to keep working on, and you can get training and learning. Sean Kenny: [00:41:13] Dude, I watch YouTube videos all the time on good people, like quality people, because I’m a millennial, and you watch YouTube to learn a few things. It’s been really helpful where I can approach a sales call where I used to get just so worked up and so nervous. Now, I have fun because I feel like I’m helping. And I think, we, as a profession, need to really respect the sales. I have heard this. And I’m now, as an entrepreneur, I believe sales is so necessary and so great. Sean Kenny: [00:42:04] If you have the right skills or you have the right approach to it, it really is a noble profession because you are helping people. And a good sales experience, a client will walk away with the feeling of “I was just helped.” If it was a bad experience, and if that person had bad skills, it’s that creepy feeling. It’s just unpleasant. It’s just an unpleasant feeling. And like, dude, there’s just a lot of bad salesmen out there. Sean Kenny: [00:42:40] Great ones, you don’t feel like you were dealing with a salesman. In fact, I think a lot of companies are changing the names or going away with the needs of sales and using things like customer success or something like that. We’re late in it, but we should. As CPAs, we should be like, “Dude, sales. you know what, forget CPAs, forget others. You want to be an entrepreneur? You want to go out and tell people what you can do for them, you got to go on sales,” because it’s a skill, and there’s a way to approach a client. How do you know there are prospects? How do you know who’s the lead? These are skills. You got to learn them. Sean Kenny: [00:43:29] Dude, I remember last year, I got a CRM. I didn’t even know really what I was using. And they said, when you have CRM, is this guy a lead? Is he a prospect? Where in the cycle? I was lost. I don’t know. What’s a lead? I don’t know what’s a lead. I don’t know. How else is it qualified? What’s a prospect? What do you do with a prospect? Sean Kenny: [00:44:00] Now, I’m like, “Yeah, I know exactly where they are,” because like it’s like how do you approach the person? Where are they with a comfort level? Because I was just really educating people, and understanding their needs, and educate them in what you could do, and it’s about helping people. It’s about like, is what you’re looking for what I have? And that’s a generalization, but whatever. Peter Margaritis: [00:44:35] I got to wrap this up, but I do want to say before we go, I want to say a few things. One, you just summarized sales in a way that — and you’ve said it through this interview, you want to help people. You didn’t say, “I want to make a trillion dollars.” No. You said that you want to help people, and you want to see change. And you bring that passion, you bring that message, you’ve got a really cool product, really cool service that you are offering the profession. Peter Margaritis: [00:45:06] If I can look into my crystal ball, I would say if I came back in a year, let’s plan on that. If I still have the podcast a year from now, I’ll be going into my third or fourth year, let’s revisit, and let’s see where you are, and how you have grown this, and think back to this conversation. Then, a year from now, how big has this gotten? Where’s the new product lines? Where’s the service lines? How has all this reformulated or repositioned your view? Peter Margaritis: [00:45:40] Because you get that entrepreneurialship. You get the need for communication. And you’re out there to serve your clients, to serve the profession. And just by having that mentality almost guarantees your success, almost guarantees that you’re continually hard working towards that goal and being able to adapt to a changing landscape. Peter Margaritis: [00:46:04] So, one, I thank the South Carolina Association, Chris Jenkins and his team, for putting us in contact with each other. We will stay in contact over this next year. I wish you the best. I think you have a great website. And we’ll put the link to the website in the show notes. I’ll mention it in the intro. It’s been a pleasure having this conversation. I’ll look to more future conversations with you. Sean Kenny: [00:46:32] I really enjoyed this. This has been fun because you don’t always get to express what you’ve learned the past year with a person who appreciates how tough it is to communicate. So, yeah. It’s been blast. Peter Margaritis: [00:46:49] Cool. I appreciate it. Take care. And enjoy that good food down there in Charleston, South Carolina, my friend. Peter Margaritis: [00:47:00] I want to thank Sean for taking his time to explain how he wants to transform the public accounting business and his platform for doing it. I will have to say one thing, he is very passionate about his mission. And I can’t wait to see it evolve into something very special. Peter Margaritis: [00:47:19] In Episodes 16, my guest is Carrie Sechel, who’s an entrepreneurial business consultant, speaker, and bestselling author who is a former partner with Deloitte. Becoming an entrepreneur is extremely challenging and Carrie can help you think through everything that you need to do, so you can start your own business and be a success. Peter Margaritis: [00:47:41] Thank you for listening. And begin the process of changing your mindset, and getting out of your comfort zone, and develop new skills sets to become more future-ready. Your call to action is to take one hour a week to think about what you need to do to become future-ready. What skills do you need to begin to learn, so you can begin to transform your career and be ready for the future? Remember part of being future-ready is being an improviser, and being an improviser is someone who’s willing to take on risks in order to grow. So, thank you for listening, and please share this episode with a friend.